A news story that appeared recently in a couple of mainstream dailies drew attention to the Comptroller and Auditor General’s attempts to take recourse to the “Right to Information (RTI)” route to obtain information necessary for effective audits of government finances and decision making. 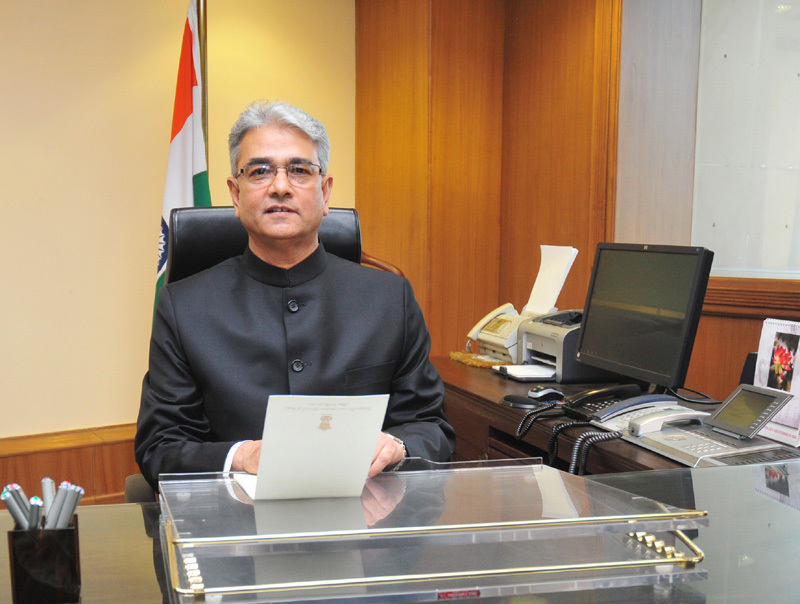 The trigger for the news story appears to be a letter that Shashi Kant Sharma wrote to the finance minister Arun Jaitley on 16 June, demanding that the constitutionally established Supreme Audit Institute of India be given “RTI powers to access information” and a penal provision “be included in the existing CAG (Duties, Powers and Conditions of Services) Act, 1971 to make it mandatory for furnishing of information in a time bound manner”. This report does not tell us if the finance ministry did eventually reply to the CAG’s June letter. It is likely that even this letter has met with the typical response that many queries by CAG audit officials do during the course of auditing, that is, one of brazen silence. Following these discussions and an “in-principle” agreement by the ministry, it appears that a proposed draft bill for amending the CAG (DPC) Act, 1971 was submitted to the Finance Ministry for the first time in November 2009. Since the Finance ministry suggested a few changes to it, a revised amendment draft was subsequently submitted on February 28, 2011, which has not progressed since. While section 18 of the CAG (DPC) Act, 1971 provides audit officials the power to seek records and accounts, and empowers them to inspect any offices of state and central governments and public sector undertakings, it does not provide these officials with any enforcement powers to ensure compliance. Is RTI the way out? Ironically, however, while CAG offices are covered under the provisions of the RTI Act, 2005 by virtue of being public offices as defined under RTI provisions, the CAG of India has been denied access to information by none less than the Chief Information Commission at least on one occasion. It was in the year 2008 that the then CAG of India wished to initiate a performance audit on the implementation of the Right to Information Act and wrote to the then Chief Information Commissioner (CIC) requesting access to records. Curiously, the CIC shot back a reply denying access to files. Although, there had been similar performance audits on the implementation of laws earlier, CIC took such a view since it thought of itself as a quasi-judicial body, whose decisions can only be challenged by writ in High Courts. This went on record in a news report by Manoj Mitta. What should the then CAG of India have done in response to CIC’s stand? Of course, he had an option to indulge in a long drawn process of correspondence with the CIC. In such correspondence, he could have shared with the CIC the earlier performance audits carried out by the CAG of India of laws such as Manual Scavengers Abolition and Rehabilitation Act, and explaining the constitutional mandate and powers. In the event of failure to secure its objective even after such a long drawn process, the CAG of India could have gone ahead and sought an intervention from the court of law. There are indeed instances of the CAG of India asserting the constitutional mandate in an uncompromising fashion from earlier times. In the mid-1980s, a prominent chairman of the National Dairy Development Board (NDDB), a public institution, denied CAG officials access to records and files. Worse still, in his memoirs titled I too had a Dream, Dr Verghese Kurien narrates the incident in a boastful manner by calling the attempted (and aborted) audit of NDDB an effort towards settling personal scores and positioning his active efforts of resistance as an act of defending autonomy. When Kurien got his memoirs published, the matter was still sub judice, as the Delhi High Court had not yet passed its judgment. The judgment, which came subsequently in the year 2009, went in favour of the CAG of India, but the legal arguments had by then stretched over more than a decade. Dr. Mathur also argues that “The office of the CAG of India should be granted powers to summon officials to give evidence on oath and power to compel departments to provide records within a specified time schedule”. A paper by Noriaki Katsuno, ‘Adjudication and Demand for Disciplinary Action – Japanese System’ (Asian Journal of Government Audit, 1994) describes the adjudication process of the Board of Audit in that country. Under this process, the Board of Audit is entitled to demand that the head of the auditee agency take disciplinary action against defaulting officials, when it finds that grave loss to the State has been caused by him or her, either deliberately or due to gross negligence. In 2005, India’s Right to Information Act granted to commissioners at State Information Commission and the Central Information Commission powers to hear appeal from a citizen, who has failed to receive certain government records from a public office; It also granted the same officials powers to summon defaulting officers in the course of adjudication. In the backdrop of this and the enthusiasm around the notion of 'social audit', it remains a curious irony that the constitutional audit agency is asked to function without such legal powers. This raises the question if the public accountability discourse in India is still starry-eyed with ‘new bureaucracies’ in place, and scarce attention being paid to crippling constraints under which our constitutional institutions function. After almost six years of a long-drawn process, the CAG of India must now reflect on what would be the best route to regain its position, one in which its constitutionally mandated duties may be performed unhindered. It wouldn’t be going beyond its constitutional brief if it sends out a strong message to government offices and officers that it audits that the other name for it is ‘Supreme Audit Institution of India’, and that it does not take silence as an acceptable response to audit queries. However, even as it sends out such a message, it also needs to initiate the process of building more participatory debate over its proposed amendments to the CAG (Duties, Powers and Conditions of Services) Act. Meanwhile, we keenly await the Finance Minister’s response to the letter from the CAG, reminding him about the draft amendment bill. Himanshu Upadhyaya ia a Bangalore-based researcher focusing on public finance and accountability issues.